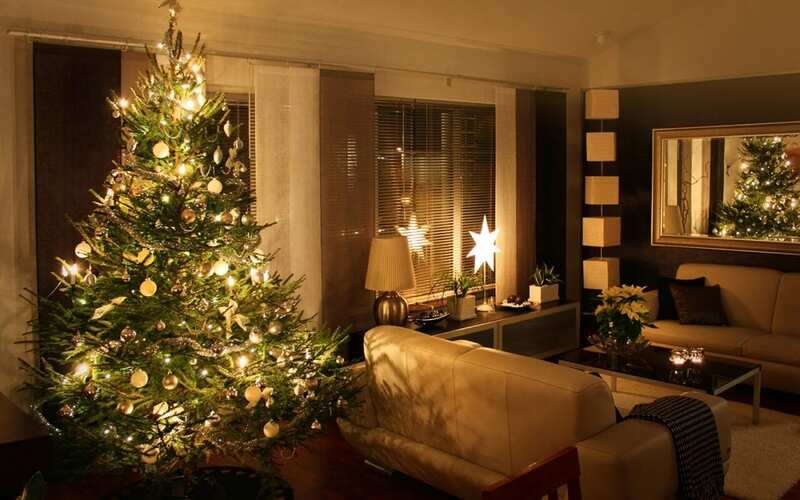 The holiday season is officially here, which means it is time to start decorating your home. Unfortunately, many people don’t think much about safety when they decorate for the holidays. According to the US Consumer Product Safety Commission (CPSC), in 2012, there were around 15,000 injuries stemming from people not following safety tips for holiday decorating. There are certain safety tips for holiday decorating that can help you, your family, friends, and pets safely enjoy the holiday season. Set up your tree in a safe spot. This means a place away from the fireplace or any other source of heat like radiators or portable heaters. Also, keep a fire extinguisher stored somewhere near the tree. Holiday trees are flammable and should always be placed in an area where they do not block hallways, doorways, or anywhere that gets a lot of traffic. One of the most important tips for holiday decorating is to keep your tree well hydrated. When a tree dries out, it becomes more flammable. Check the water level every other day and refill the water if it is low. When you select your tree, check to see that it’s fresh by making sure the branches don’t crack when bent. If you opt to buy an artificial holiday tree, always choose one with a “fire-resistant” label. Fake trees can catch fire too, so you want to make sure it’s fire-resistant to minimize any danger. Your holiday lights should be checked and double-checked to make sure that they are completely safe. Any lights that have broken sockets, frayed wires, or loose connections should be replaced. As of 2015, the CPSC issued new guidelines for holiday light safety. This includes the minimum wire size and standards, including for the amount of strain the lights can bear. As this is a good way to prevent a devastating electrical fire, this is one of the most essential safety tips for holiday decorating. Avoid mounting your holiday lights in any way that could result in damage to the cords. Never use nails, tacks, or staples to hang your lights. Adhesive hooks are the safest option. It’s wise to use only unbreakable ornaments, especially if you have young children and pets that could damage them. If you have ornaments that can easily break or have sharp edges, keep them out of reach of children and pets. Kids can grab hold of these items and get injured if they can remove them. Small decorations that resemble candy can also be choking hazards. Following these safety tips for holiday decorating can also protect your pets. Poinsettias are common gifts during the holiday season, but they are poisonous. If you get one of these plants, keep it safely out of reach of children and pets at all times. Along with holly and mistletoe, poinsettias can cause illness when ingested. Keep these safety tips for holiday decorating in mind so that everyone in your home can stay safe and well this holiday season. Happy Holidays from Oasis Home Inspections!